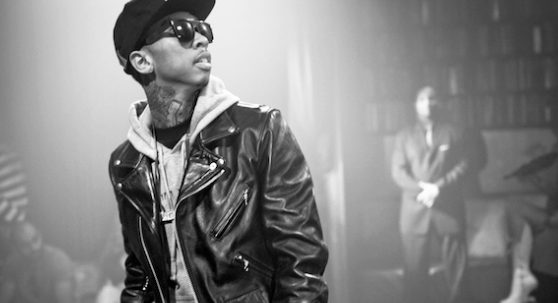 Tyga took to his Twitter account today to express his frustrations with his current label situation under Young Money. 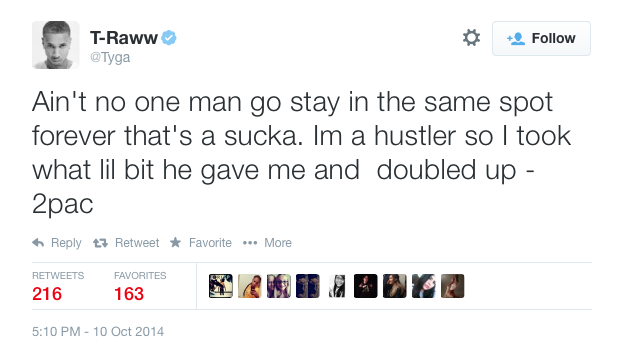 In the series of tweets, which you can see below, Tyga said that his album, The Gold Album: 18th Dynasty, has been completed for awhile, and the label is holding him hostage so he can't release anything. 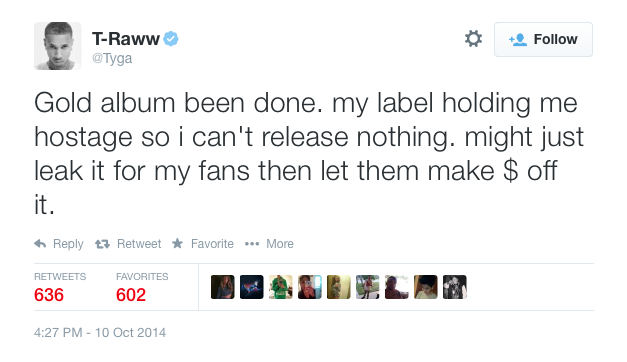 He then said that he might just leak the entire project himself so the fans can enjoy it and the label can't make any money off of it. 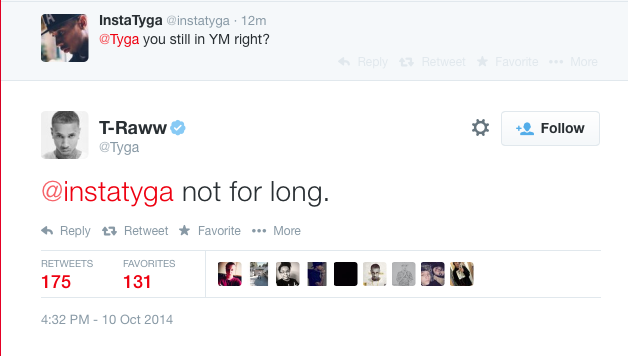 In a separate tweet, a fan asked Tyga if he was still with Young Money, and he simply replied, "Not for long." The album is currently slated to be released in late November, but it's not unclear if that is still the case. We will continue to update this story as more details emerge.